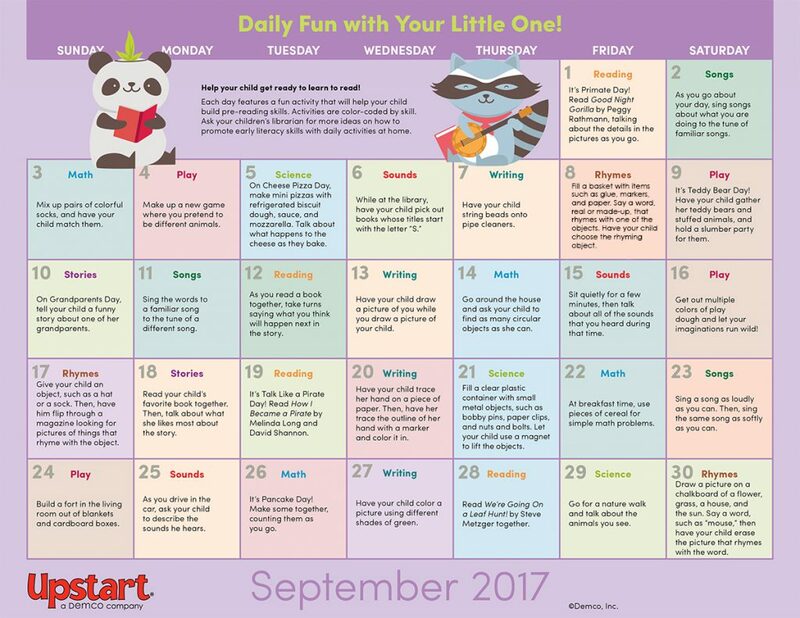 Inspire parents to have fun with their little ones this September with a month of simple early literacy activities they can do together at home. Parents and kids can celebrate fun holidays like Teddy Bear Day and Talk Like a Pirate Day, as well as go for nature walks, do crafts and art activities, read new books together, practice math with everyday items and much more! 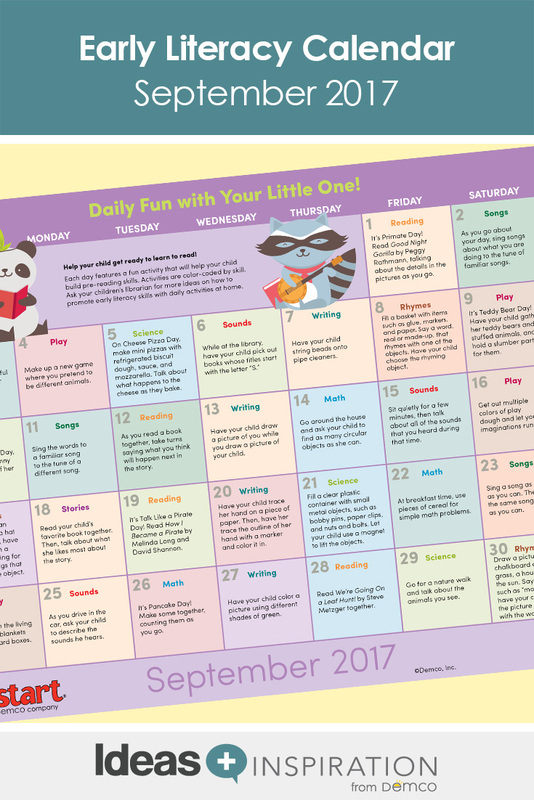 Came across Upstart as I was browsing for literacy information, thankyou for your calendar activity for parents, so inspiring. Surely will follow your footsteps in making all the kids in my class love reading ? Thank you for your wonderful comments! We’re so happy to hear that the Early Literacy calendar is a valuable resource for you!